Tempted by all the dark, lush Fall tones of rich brown, rust, and brick red, but worried that they're too dramatic? Here's my favorite way to channel the Fall mood and pair all these rich, warm brown-laced colors together without everything becoming too vampy or over the top for the day. Often in Fall, brands start releasing beautiful rich, deep lip colors. Nothing says Fall more than a beautiful brown-red, berry or plum colored lip. It's posh and chic and dressy, but not as loud as red or as vampy as a full-on noir shade. One trick is not to go TOO brown as it can make your entire face look quite drab and washed out when paired with brown-toned eyes and dark Fall clothes. Dab a little of the color on the back of your hand with your finger and see if it sheers out to a reddish or plummy tone. If all is you see brown, it's TOO brown. I used MAC's classic Viva Glam III (the darkest shade on the bottom left) for the look above. It has the potential to look very vampy, but sheered out, it is just a lovely raisiny red-brown that looks pretty, not severe. Simply dab on the color with a finger and then apply clear lip balm over your lips to add a little sheen and to even out the color. Black liner and mascara is the easy way to do your eyes for dark lips. But it can often look very severe, especially for girls who like to draw very thick liner. A smoky hazy eye look in a soft brown is much more romantic and dreamy. 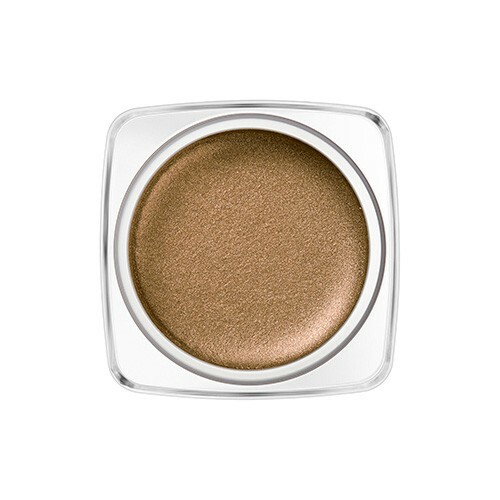 Instead of going for a typical dark smoky eye color, pick colors that are 1-2 tones lighter, like Moonshot's Jelly Pot in P08 Cafe Con Leche below. Medium-toned metallics are dimensional enough that you only need one shade to look like you applied 2-3 colors. Great for a low-maintenance eye that you can throw on quickly. Make sure you blend out the edges and there aren't any hard lines. If your eyes do not tilt downward too much at the outer corners, you can run a tiny bit along the outer half of your lower lashes to create that smoky dreamy effect. If you need definition and want to wear liner, use pencil and try to smudge it out lightly with a ring finger so it is not one hard black line. It might seem to make sense to match your blush to your lip and eye colors, but not everyone suits that severe monochrome look with brown eyes, brown lips, brown cheeks. 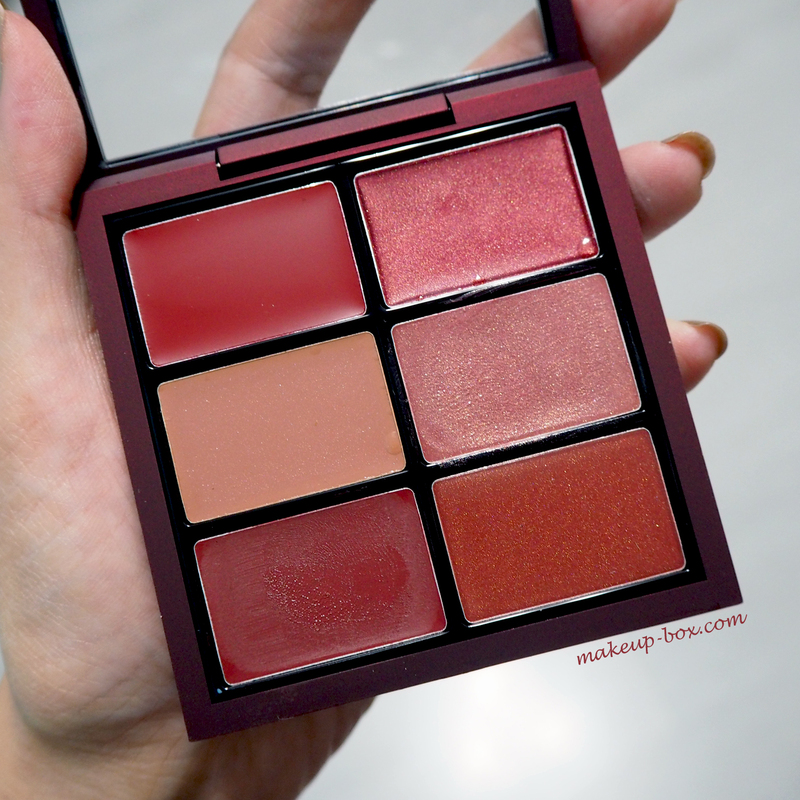 Skip the brown-toned blushes unless you have caramel to dark skin. Often it's more flattering to inject a tiny bit of soft color to your face with a neutral peachy-pink blush when you are wearing brown tones on lips and eyes. Just don't pick a shade that's so bright - or apply so much - that it is obviously clashing against the rest of your makeup. The blush is there so you don't look too corpse-like. Not to make a statement in itself. This is also the one time I would not go with a very metallic or shimmery blush. A satin or matte shade would look much better. Otherwise it just detracts from the overall look and you will have too much going on on your face. I love that lip color. Just wish that I could find that palette. :( Great fall look. Awh... yeah it was a limited edition Xmas release last year! But all the shades are regular Viva Glam colors, so you can always get those in the tubes. Less waste actually - cos nobody likes every single color in a palette!